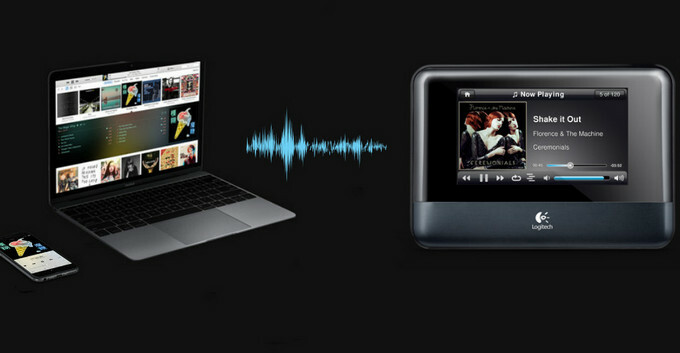 Squeezebox as a network player developed by Logitech, it not only delivers internet radio along with music streamed from any computer on local network, and as a fully-featured music streaming service, it also supports for most popular music streaming services including Deezer, Pandora, Slacker, Spotify, Tidal and etc. But it is a pity that Apple Music is much more restrictive and absent from the Squeezebox supported list. 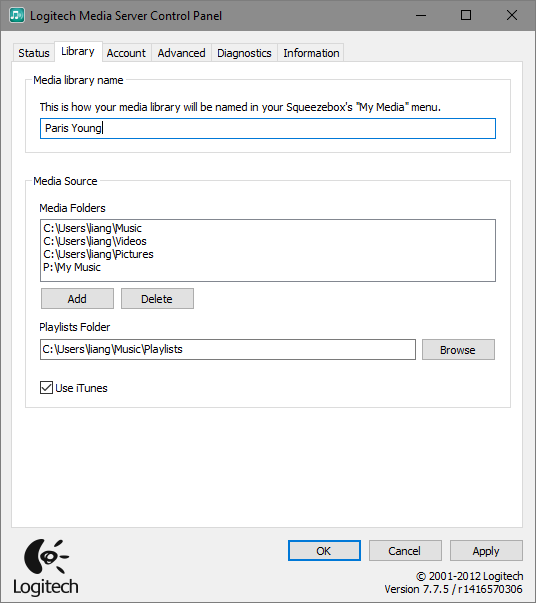 So maybe you are looking for the solutions to play Apple Music contents on Squeezebox from forum. To work out this problem, we are going to share you guys a practicable way to stream Apple Music on Squeezebox. 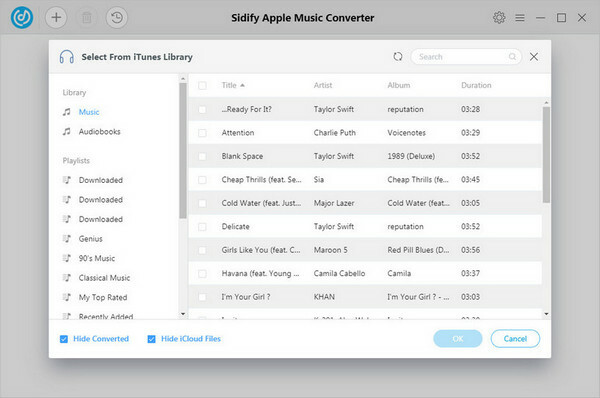 Now that Apple and Logitech did not reach the partnership to allow Apple Music subscribers access the contents on Squeezebox directly, and the DRM protection from Apple restricts the playback on unauthorized devices or platforms. So the only way to help you out is to wiping out the DRM protection from Apple Music Contents. 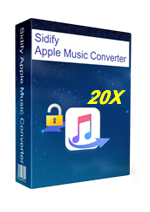 Sidify Apple Music Converter is a simple utility to removing DRM Protection from Apple Music songs or playlists legally, and converting Apple Music songs to unprotected audio files like MP3, AAC, FLAC, or WAV losslessly. Now, we would like to show you how to convert Apple Music contents to the audio files compatible with Squeezebox, and play converted Apple Music songs on Logitech Squeezebox Touch. Generally, the sound quality varies according to the source material, and high-resolution FLAC files naturally sound the best. 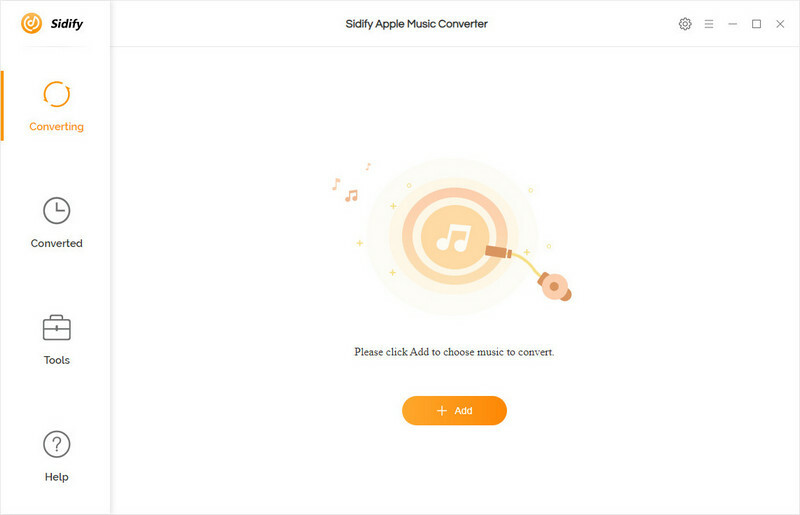 Launch Sidify Apple Music Converter on computer after you successfully install it. And here we would take Windows PC as the example. 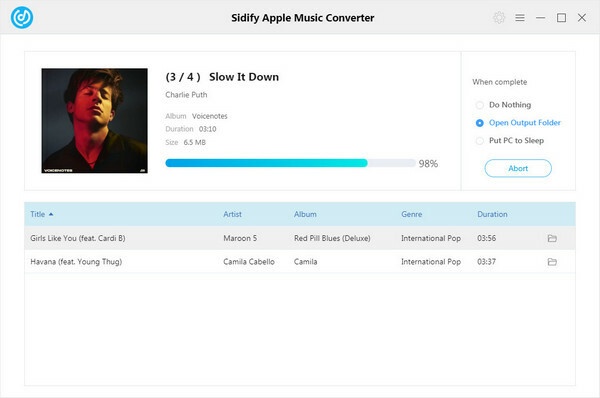 You can click icon on the main interface of Sidify to add Apple Music songs or playlists to the program, and a pop-up dialogue will show to let you add audio files from iTunes library. The program accepts the contents including Apple Music, iTunes M4P Music and Audiobooks. But please make sure that all your Apple Music contents are well downloaded within the validity period, and iTunes M4P Music and Audiobooks are already purchased. Then click "OK" to check the music files you selected from iTunes library. Click button to customize your personal output parameters including output format, output path, and output quality. In order to get the best sound quality, you can choose FLAC as the output format, and output quality to High (320 kbps). 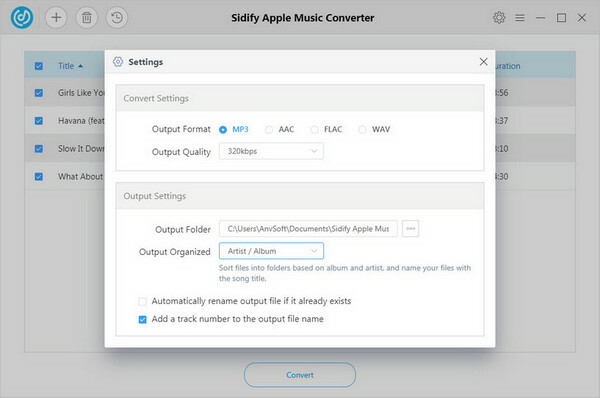 After all the settings finished, you can click "Convert" button now to start converting Apple Music songs or playlist to FLAC. After the conversion process completed, you can click button icon to find the unprotected Apple Music contents. If you are going to store the converted Apple Music and listen to them from an SD card or USB device, you just need to plug USB drive into the connector on the back of Squeezebox Touch, or insert your SD card into the slot on the right side. And now we are going to tell you how to listen to the personal Apple Music library from computer. Step 1: Download and install Squeezebox Server on computer > click My Music, and select Download Squeezebox Server. After Squeezebox Server installed, it will scan your computer and create an index of your music, so make sure that your music library is accessible from Squeezebox Touch. Step 2: Click on the Squeezebox Server icon in your system tray and select Open Control Panel, then select the Library tab to rename your music library. Step 3: At your Squeezebox touch, click My Music > Switch Library and select your computer name. Step 4: Select My Music on your Squeezebox, and navigate to the music you want to hear. Now, just enjoy Apple Music on your Squeezebox audio system at home!